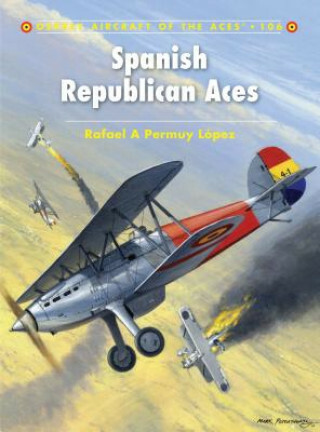 At the start of the Spanish Civil War, most young fighter pilot officers joined the rebels, while the high ranking officers, grupo or escuadrilla commanders, and the NCOs, sergeants and corporals remained loyal to the government. Mostly flying the obsolete Nieuport Ni.52s these loyalists were soon outpaced by the more modern Fiat CR.32s and Heinkel He 51s. However, at this early stage of the war, there were several Republican airmen who became aces and famous in the process, despite the small numbers of enemy aircraft shot down. Widely speaking, the Republican military aviation did not keep an exhaustive record of individual shooting claims. However, sufficient documentation exists to make a reasonable assumption as to which pilots fall into the ace category. This volume details the exploits of those pilots, complementing previous works in the "Osprey Aircraft of the Aces" series on Nationalist CR.32 Aces and Polikarpov I-15, I-16 and I-152 Aces.